"Simone Vause was an absolute inspiration. Her team of East 15 Alumni are just truly gifted and the way they build plots and improvise is an utter joy." "a visionary, rather unorthodox and quite brilliant." 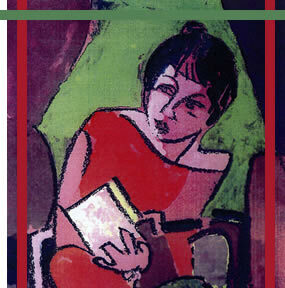 "Simone lives in a world of her own: the world of the play." "I believe that an actor must function in the same way as any artist. An actor must 'feel' to do the work. Without emotional input, the work will be nought; never mind how wonderful the voice and movement. 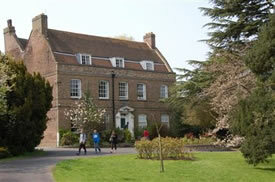 Our aim is to enhance other people's lives. But how can we ever hope to do that, if we have not already enhanced our own?" Click left for audio player: four testimonials and an excerpt from a radio play featuring characters coached by Simon Vause. I am a theatre director specialising in characterisation. 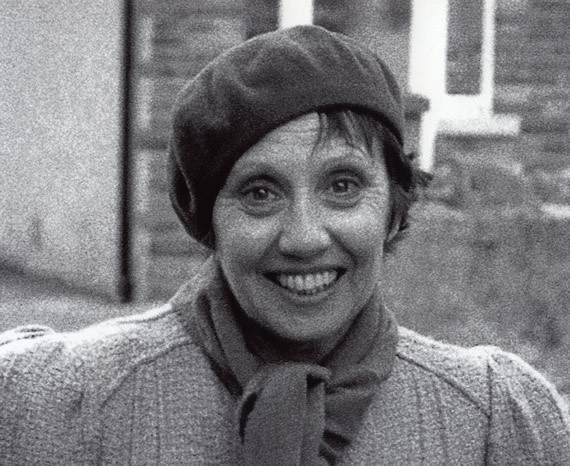 I cannot remember a time when I did not see the world as food for theatre, but I was particularly inspired in my early thirties by Peter Oyston, who founded The Duke's Playhouse in Lancaster in 1971. He allowed me to watch rehearsals on a regular basis, Occasionally, he would turn from the front stalls and call up to me in my seat in the dark: "Are you all right, Simone?" I was more than all right. I was in heaven. This peaceful intermission of watching and absorbing privately stopped abruptly in the spring of 1973, when Peter crossed the studio at the end of the morning warm-up, and said: "Simone, I've sent for the application forms for East 15. And you've got to go." With a lifetime of wishing behind me, I knew that he was right. And so it was that I came to do the 3-year actor/director course at East 15 Acting School. And so it was that I began to formulate the approach that has guided my work ever since. The rest is history, and you can read it on the History page of this website. 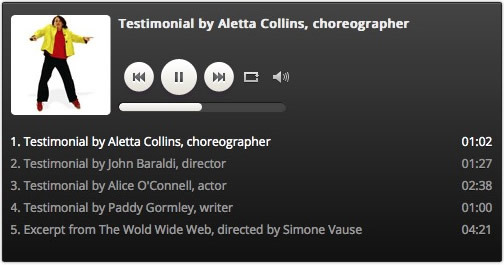 It ranges from my work as Philip Hedley's assistant in Khartoum in 1976, to my recent, fantastically exciting work for Aletta Collins, which includes character work on the Salzburg Festival production of Carmen, conducted by Simon Rattle, with a star-studded cast led by Magdalena Kozena and Jonas Kaufmann. Actually, there are two history pages. My work with Quayside Theatre Company in Lancaster, and later in London, means so much to me that I have singled it out for special treatment in its own right. 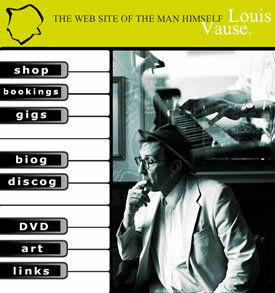 You'll see dozens of photographs of the many lovely actors I've worked with, together with posters and programmes. 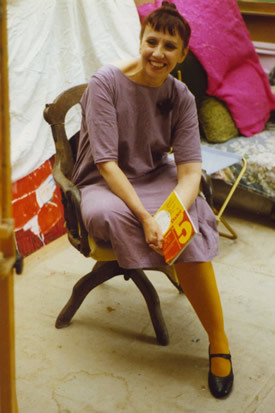 Left: Simone Vause in Ewart Johns' studio. Below: YouTube video of Seven Other Children, directed by Simone Vause at New End Theatre in 2009. David Vause, Simone's husband, restored houses in Edinburgh and later restored Lancaster Canal through the town. He died in 1996 with MS.
Simone's children, now grown up, are all in the creative arts, and she is inordinately proud of them. 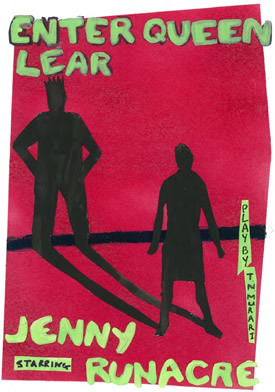 Right: Poster designed by artist Lawrie Vause for Jenny Runacre's production of Enter Queen Lear, which Simone directed. Below: Simone as Bunny Girl in Peter Konwitschny 2013 production of La Traviata for English National Opera, revived in 2015.